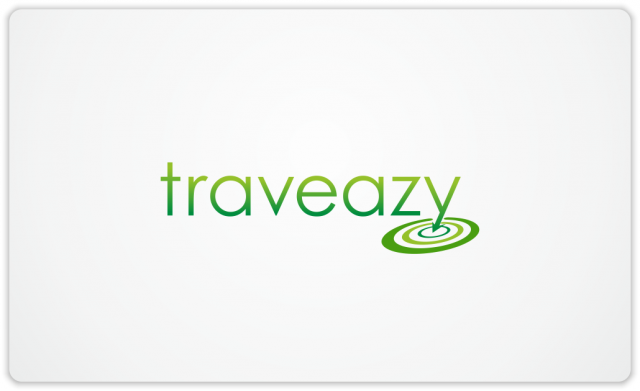 Logo for traveazy | Natalia Sutkiewicz - Graphic Designer Portfolio. Logo, Business Cards, Stationery. The bad side of selling logos via logo stores is, that sometimes I even have no clue who decided to buy my logo. In case of the logo I’m presenting today, the buyer remained anonymous, so I know nothing about the business, for which this logo is going to be used, although I assume it will be travel related. At least when I created that logo, I had in mind the idea of using one of the letters in the company’s name to point out a destination, a target. I think I achieved that effect in a very simple way, and it looks someone liked it also, as he decided to purchase this logo.